A United Nations' organization today issued a global pollinator health report and the news was not good. The two-year global assessment by the Intergovernmental Science-Policy Platform on Biodiversity and Ecosystem Services (IPBES) lamented the decline in pollinators due to such human-driven factors as habitat loss, pesticides, and malnutrition. These and other culprits, including pests, invasive species and climate change, can mean extinction of many species. Major news organizations quickly sought input from experts, including two UC Davis entomologists: native pollinator specialist Robbin Thorp, distinguished emeritus professor of entomology, who was interviewed by KGO Radio, San Francisco, and pollination ecologist Neal Williams, associate professor of entomology, who provided comments to The Washington Post. It's not only the pollinators that are under siege. So are "the livelihoods and hundreds of billions of dollars worth of food supplies," according to the Feb. 26 IPBES report. The assessment, "Thematic Assessment of Pollinators, Pollination and Food Production," is the first issued by the four-year-old IPBES, which spans 124 member nations. Seventy-seven experts participated, drawing information from 3000 scientific papers. 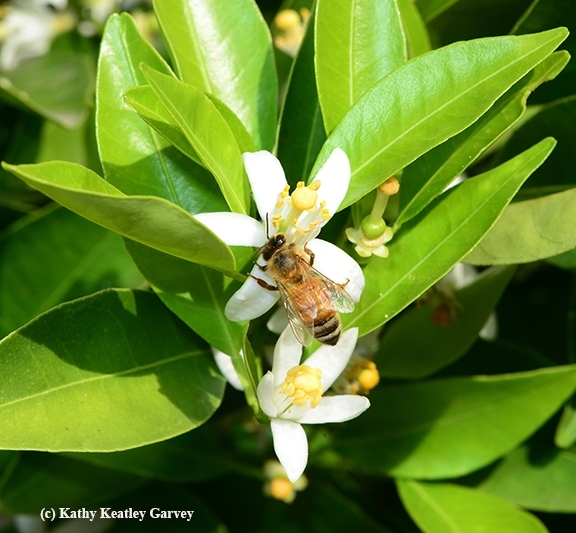 "Pollinators are important contributors to world food production and nutritional security," said Vera Lucia Imperatriz-Fonseca, Ph.D., co-chair of the assessment and senior professor at the University of São Paulo. "Their health is directly linked to our own well-being." 75 Percent – Percentage of the world's food crops that depend at least in part on pollination. 235 billion to $577 billion – Annual value of global crops directly affected by pollinators. 300 Percent – Increase in volume of agricultural production dependent on animal pollination in the past 50 years. Almost 90 Percent – Percentage of wild flowering plants that depend to some extent on animal pollination. 1.6 million tons – Annual honey production from the western honeybee. 16.5 Percent – Percentage of vertebrate pollinators threatened with extinction globally. 40 Percent (plus) – Percentage of invertebrate pollinator species – particularly bees and butterflies – facing extinction. 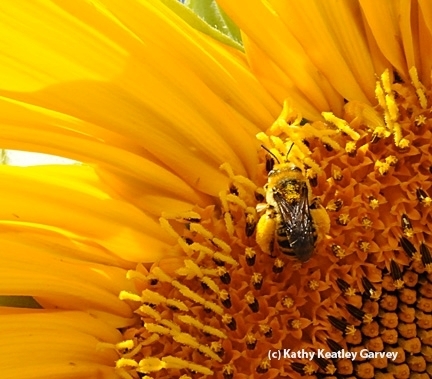 "In addition to food crops, pollinators contribute to crops that provide biofuels (e.g. canola and palm oils), fibers (e.g cotton), medicines, forage for livestock, and construction materials. Some species also provide materials such as beeswax for candles and musical instruments, and arts and crafts," IPBES related. The report indicated that pesticides, pests and diseases pose a special threat to managed bees "but the risk can be reduced through better disease detection and management, and regulations relating to trade and movement of bees." A high diversity of wild pollinators contributes to increased stability in pollination, even when managed bees are present in high numbers. Crop yields depend on both wild and managed species. The western honey bee is the most widespread managed pollinator in the world, producing an estimated 1.6 million tons of honey annually. The number of beehives has increased globally over the past 50 years, but a decrease in hives has occurred in many European and North American countries. Neal Williams explained to The Washington Post in an email: "Hospitable landscapes are ones where there are suitable nesting habitats for diverse pollinator species, and where consistent forage resources are accessible (within the flight range) of the bees throughout their flight seasons." 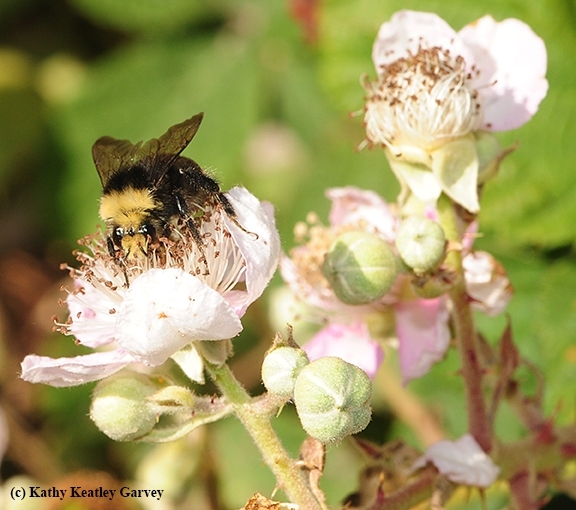 Robbin Thorp told KGO that "through agricultural intensification, we have a lost a lot of habitat for native pollinators." He advocated more nesting habitat for bees. And, he said, "we need to be cautious whenever we apply pesticides" because pesticides are designed to kill insects, and bees are insects. Honey bees, Thorp said, are just one species of about 20,000 bees in the world. "Most native bees are solitary bees that nest in the ground. They don't have a queen, they don't make honey, but they are very important in our environment." 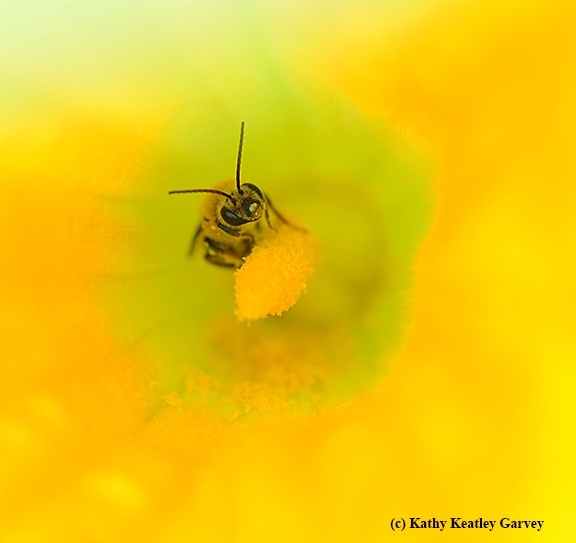 Protecting our pollinators is crucial. They are, as IPBES, said, "economically, socially and culturally important."